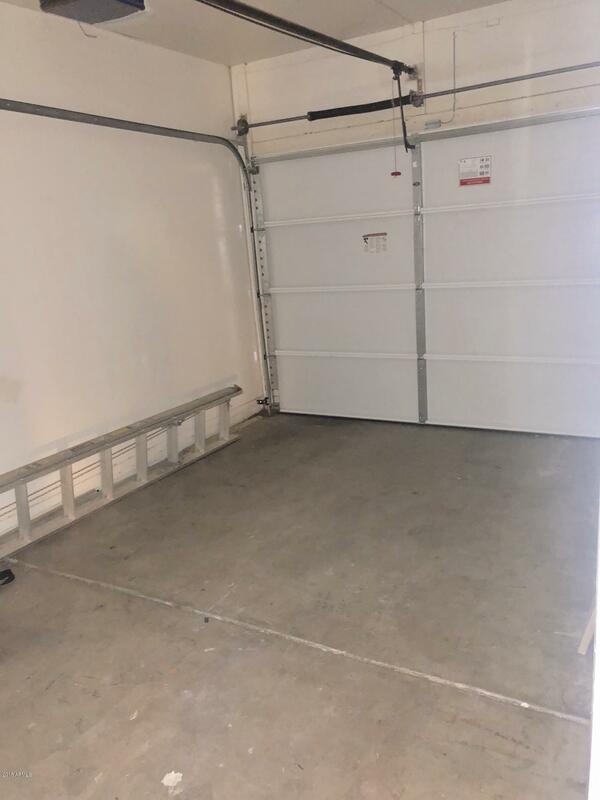 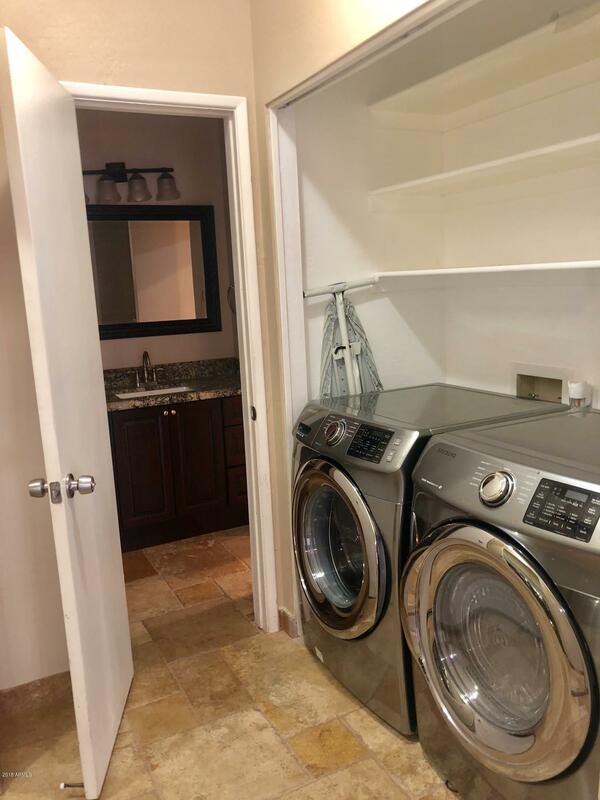 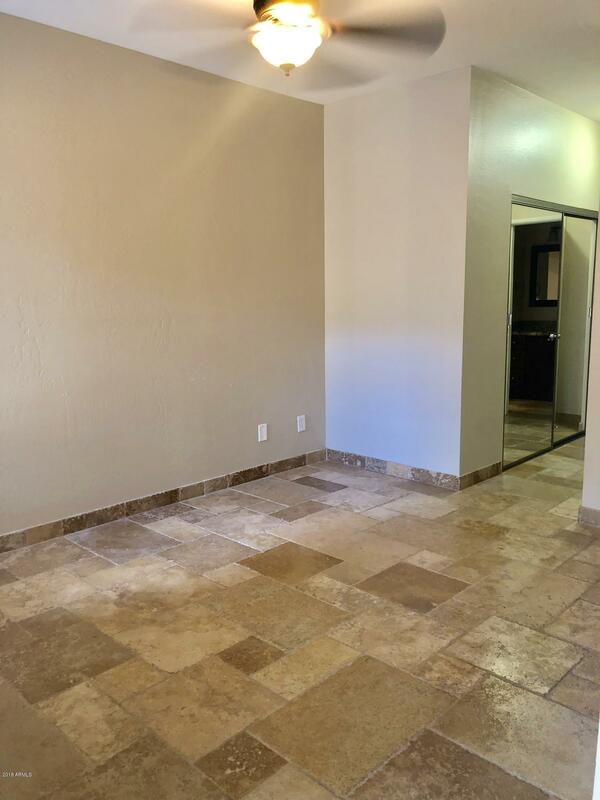 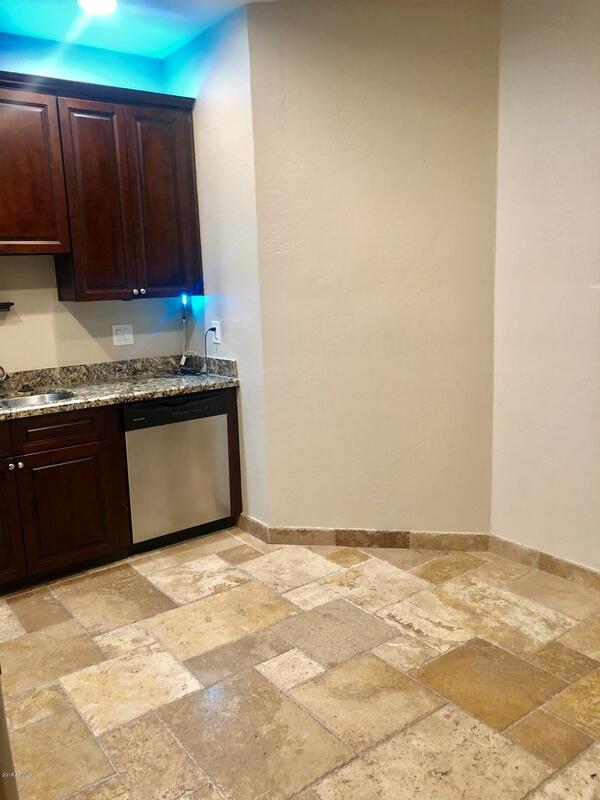 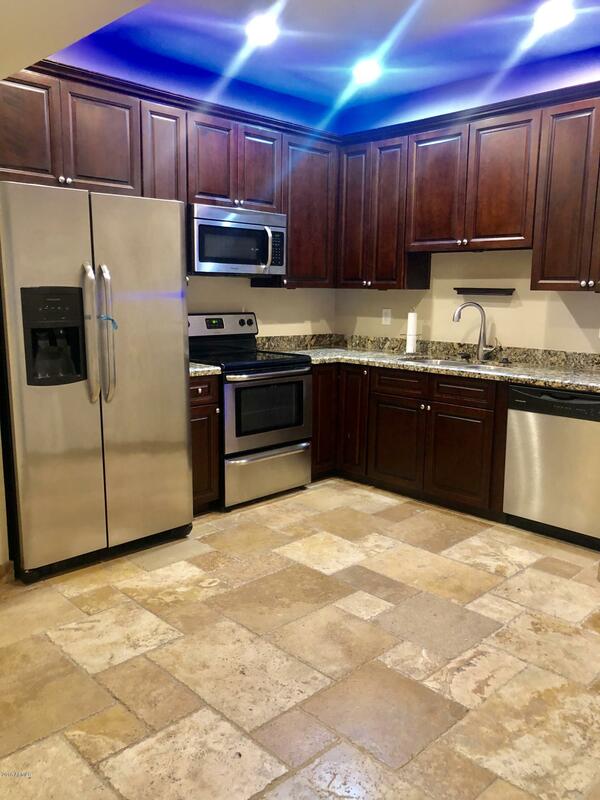 Check out this completely upgraded/remodeled condo with an attached 1 car garage! 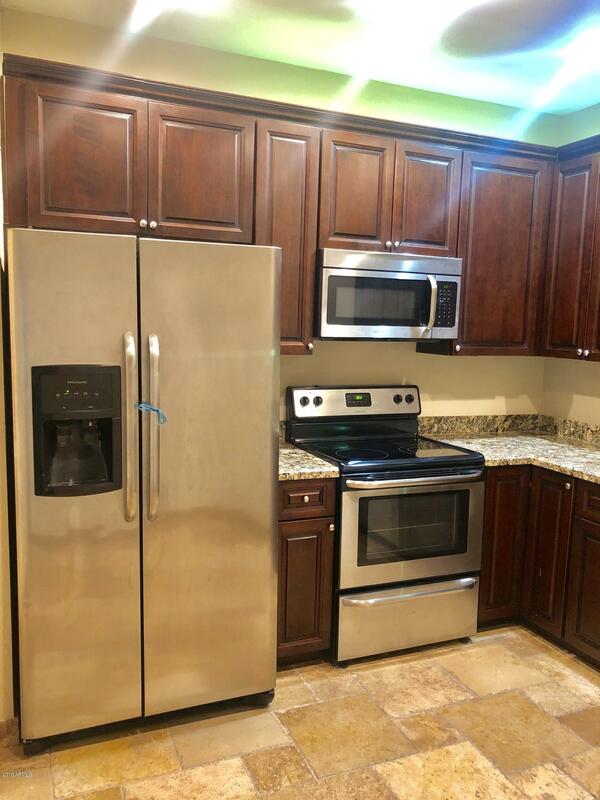 Completely renovated in 2013 with a new kitchen. 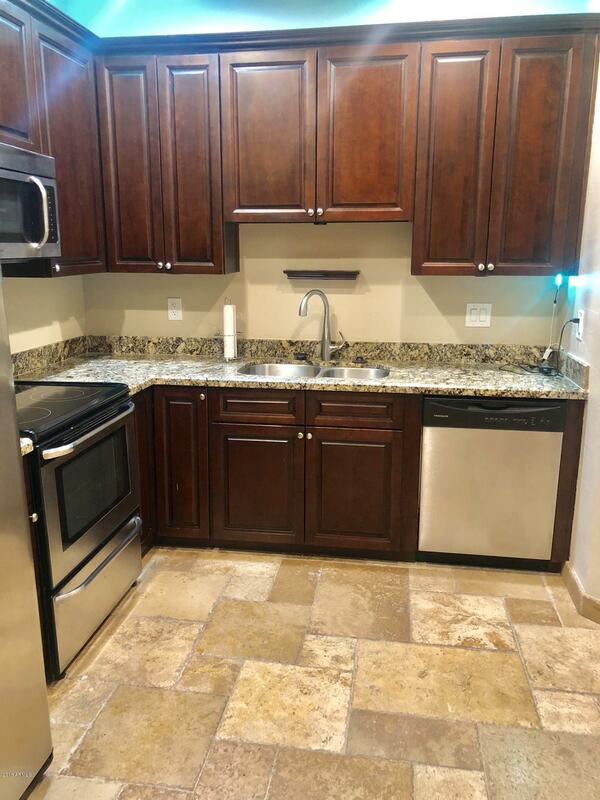 Kitchen boasts mocha stained cabinets, granite counters, and stainless appliances. 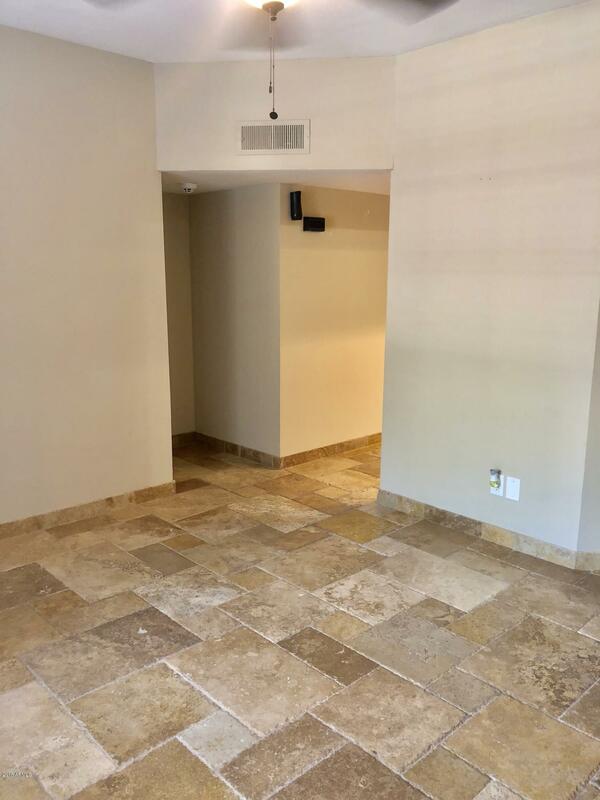 Gorgeous travertine tile floors through-out the entire first level. 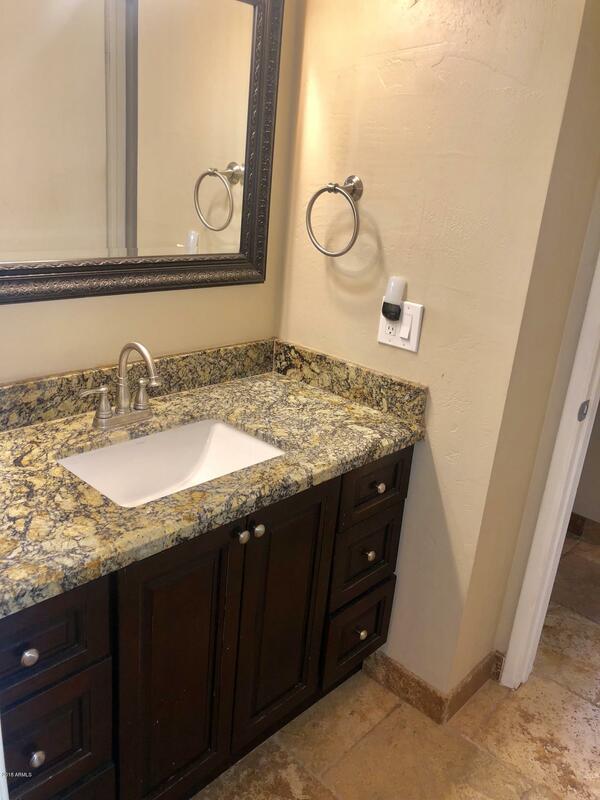 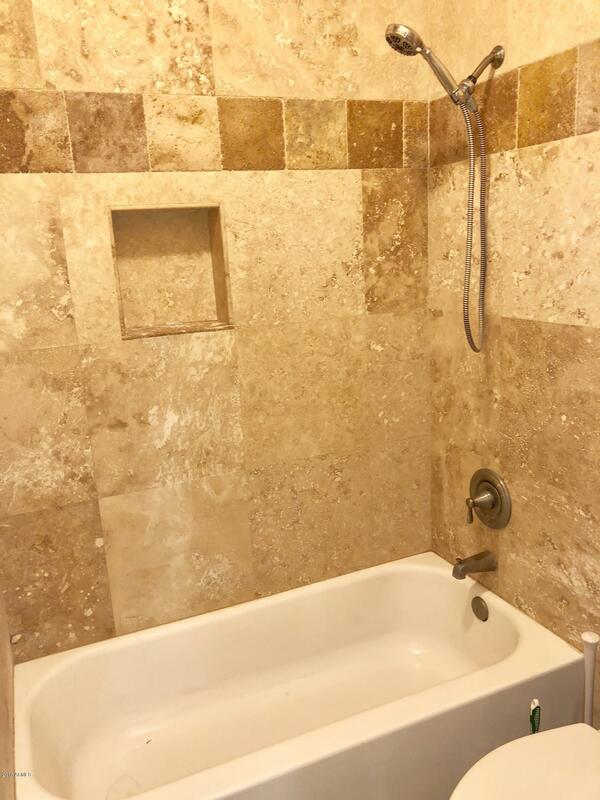 Fully remodeled bath with granite counter tops and travertine shower/tub surround. 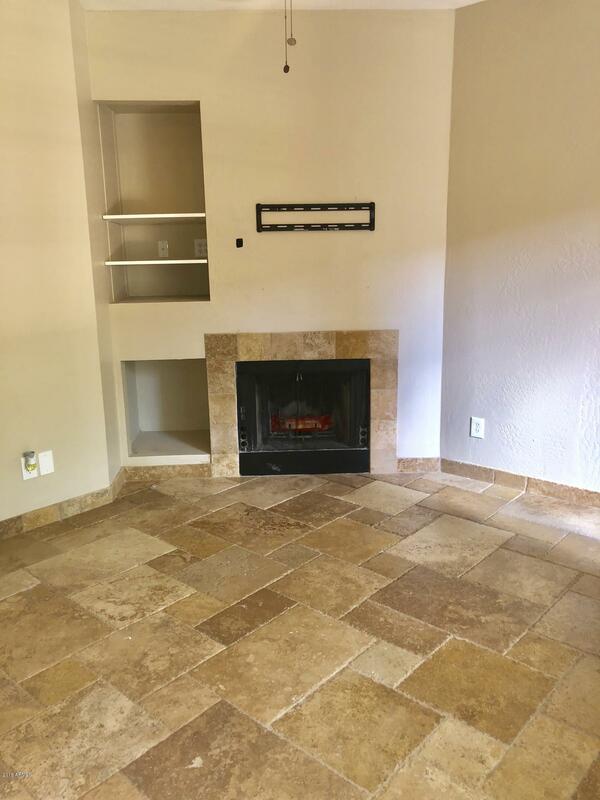 Cozy family room with wood burning fireplace with travertine surround. 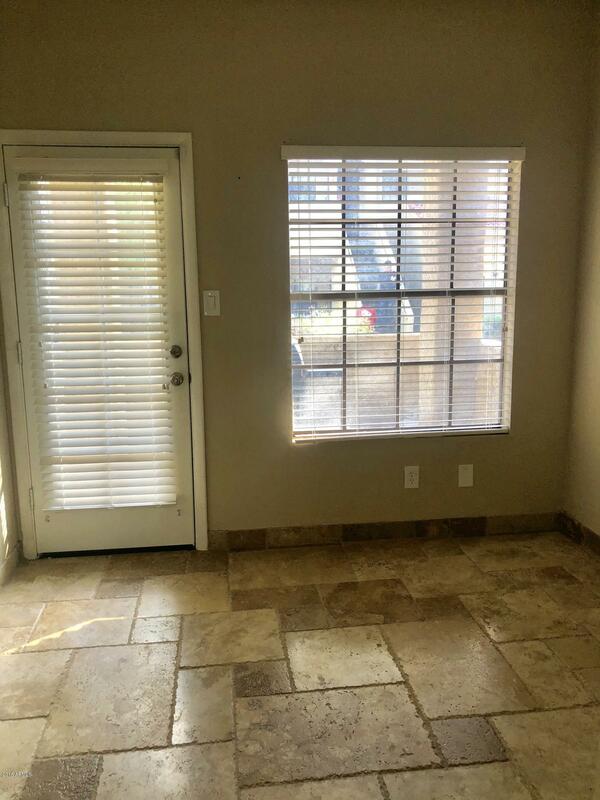 Master bedroom has a separate nursery/office/workout space attached with a private patio. 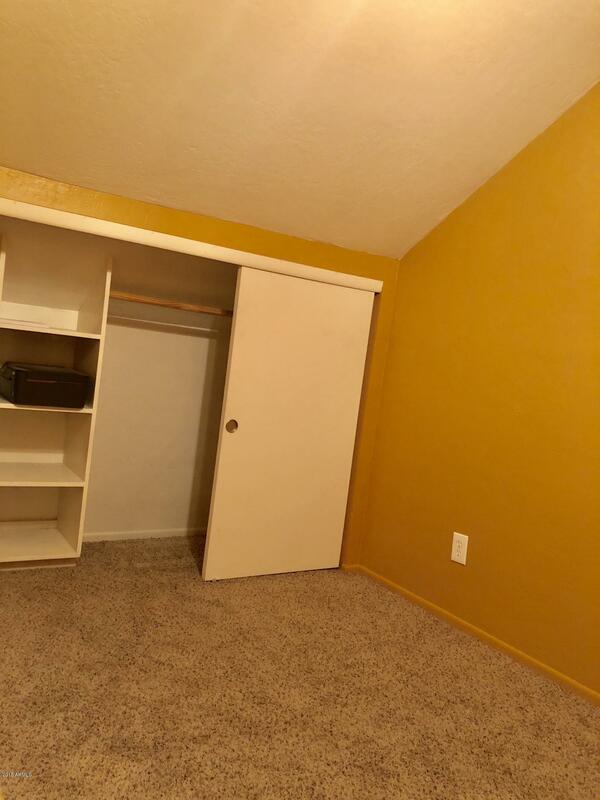 Loft bedroom with closet also makes a great office. 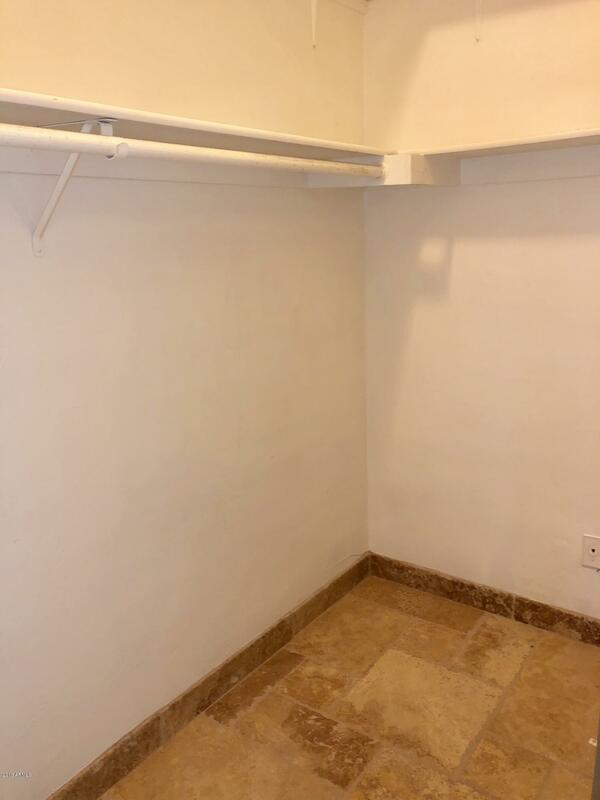 Loft needs a door to be considered a true bedroom. 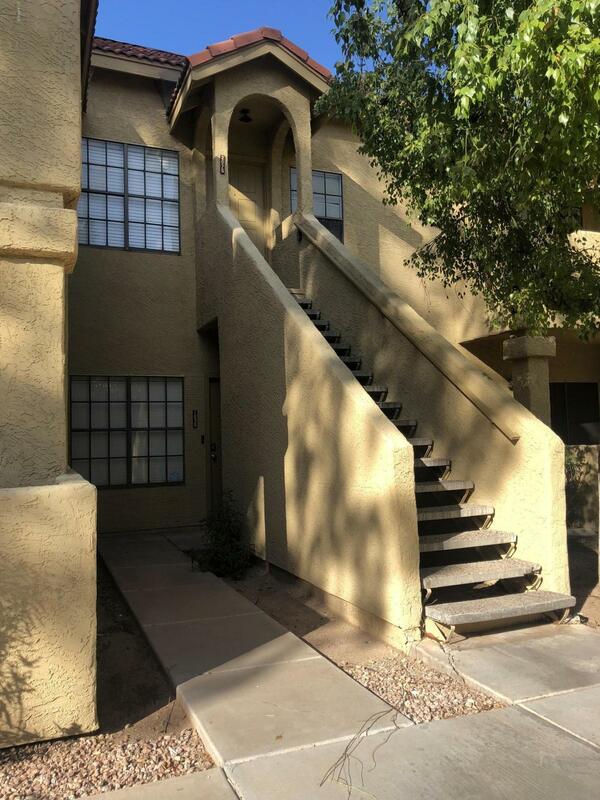 Centrally located, just minutes to Mesa Community College, ASU Research Park and other large employers.